ARIN confirmed sponsor at 2014 North American IPv6 Summit. 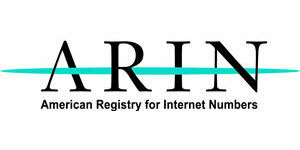 ARIN is joining the 7th Annual North American IPv6 Summit as a Silver Sponsor. This year’s theme is Putting IPv6 To Work. With available IPv4 address space becoming scarce, ARIN strongly encourages you to deploy IPv6 on your networks and equipment, so that they can remain visible to the entirety of the Internet. Register today to visit them on September 24-25 at the Grand Hyatt, Denver, Colorado. This entry was posted on Thursday, May 22nd, 2014 at 11:51 pm	and is filed under News & Updates. You can follow any responses to this entry through the RSS 2.0 feed. Both comments and pings are currently closed.